Elliot Nelson (left) and Niayesh Afshordi. No image credit found. Like photographers assembling a portfolio of best shots, astronomers have assembled a new, improved portrait of mankind’s deepest-ever view of the universe. Called the eXtreme Deep Field, or XDF, the photo was assembled by combining 10 years of NASA Hubble Space Telescope photographs taken of a patch of sky at the center of the original Hubble Ultra Deep Field. The XDF is a small fraction of the angular diameter of the full moon. The Hubble Ultra Deep Field is an image of a small area of space in the constellation Fornax, created using Hubble Space Telescope data from 2003 and 2004. By collecting faint light over many hours of observation, it revealed thousands of galaxies, both nearby and very distant, making it the deepest image of the universe ever taken at that time. The new full-color XDF image is even more sensitive, and contains about 5,500 galaxies even within its smaller field of view. The faintest galaxies are one ten-billionth the brightness of what the human eye can see. Magnificent spiral galaxies similar in shape to our Milky Way and the neighboring Andromeda Galaxy appear in this image, as do the large, fuzzy red galaxies where the formation of new stars has ceased. These red galaxies are the remnants of dramatic collisions between galaxies and are in their declining years. Peppered across the field are tiny, faint, more distant galaxies that were like the seedlings from which today’s magnificent galaxies grew. The history of galaxies — from soon after the first galaxies were born to the great galaxies of today, like our Milky Way — is laid out in this one remarkable image. Hubble pointed at a tiny patch of southern sky in repeat visits (made over the past decade) for a total of 50 days, with a total exposure time of 2 million seconds. More than 2,000 images of the same field were taken with Hubble’s two premier cameras: the Advanced Camera for Surveys [ACS] and the Wide Field Camera 3 [WFC3], which extends Hubble’s vision into near-infrared light. “The XDF is the deepest image of the sky ever obtained and reveals the faintest and most distant galaxies ever seen. XDF allows us to explore further back in time than ever before”, said Garth Illingworth of the University of California at Santa Cruz, principal investigator of the Hubble Ultra Deep Field 2009 (HUDF09) program. The infrared vision of NASA’s planned James Webb Space Telescope [JWST] will be aimed at the XDF. The Webb telescope will find even fainter galaxies that existed when the universe was just a few hundred million years old. Because of the expansion of the universe, light from the distant past is stretched into longer, infrared wavelengths. The Webb telescope’s infrared vision is ideally suited to push the XDF even deeper, into a time when the first stars and galaxies formed and filled the early “dark ages” of the universe with light. A particle, quantum mechanics teaches us, is just an excitation of a field. A photon is an excitation of the electric field, for example, and the newly discovered Higgs boson is an excitation of Higgs field. It’s roughly similar to the way a wave is an excitation of the ocean. And just as the height of a breaking wave can tell us something about the depth of the water, the mass of a particle depends on the strength of its corresponding field. New kinds of quantum fields are often associated with proposals to extend the Standard Model of particle physics. If Afshordi and Nelson are right, and there can be no such fields whose fluctuations have enough energy to noticeably curve space, there can be no unknown particles with a mass of more than 35 TeV. The authors predict that if there are new fields and particles associated with an extension to the Standard Model, they will be below that range. There is a great deal of debate in particle physics about whether we should build increasingly powerful accelerators to search for heavier unknown particles. Right now, the most powerful accelerator in the world, the Large Hadron Collider [LHC], runs at a top energy of about 14 TeV; a proposed new super accelerator in China would run at about 100 TeV. As this debate unfolds, this new work could be particularly useful in helping experimentalists decide which energy levels – which skyscraper heights – are the most interesting. Supercomputer visualization of the toroidal magnetic field in a collapsed, massive star, showing how in a span of 10 milliseconds the rapid differential rotation revs up the star’s magnetic field to a million billion times that of our sun (yellow is positive, light blue is negative). Red and blue represent weaker positive and negative magnetic fields, respectively. From left to right are shown: 500m, 200m, 100m, and 50m simulations. Simulations and visualization by Philipp Mösta. Does taking a drug and then getting better mean that the drug made you better? Did that tax cut really stimulate the economy or did it recover on its own? The problem of answering such questions – of inferring causal relationships from correlations – reaches across the sciences, and beyond. Normally, correlation by itself does not imply causation. But new research from Perimeter Institute and the Institute for Quantum Computing (IQC) has found that in the case of quantum variables, it sometimes can. The new work, just published in Nature Physics, is the result of a collaboration between Perimeter Faculty member Robert Spekkens, IQC Faculty member Kevin Resch, PhD student Katja Ried, MSc students Megan Agnew and Lydia Vermeyden, and Max Planck Institute senior research scientist Dominik Janzing. As a practical illustration of the difference between correlation and causation, consider a drug trial: some people take a drug, and some of them get better. Even more promising, the doctors find that among people who took the drug, 60 percent recover; among people who didn’t take the drug, only 40 percent recover. What conclusions can the doctors draw? At first blush, it may look as if the drug caused the recovery, but the doctors would need more information before drawing that conclusion. It might be that more men than women chose to take the drug, and more men than women tended to spontaneously recover. In that case, a common cause, gender, could potentially explain the correlation. This imaginary drug trial shows how tricky it can be to distinguish cause-effect correlations from correlations springing from common causes. That’s why the caution “correlation does not imply causation” is drilled into the heads of every researcher for whom statistics is of even passing importance. Over the last century, scientists, mathematicians, and philosophers have developed a powerful toolkit for untangling webs of cause, effect, and correlation in even the most complex evolving system. The case of systems with only two variables – like the drug trial above – turns out to be the hardest one. If you want to avoid introducing assumptions about what’s happening, you need to intervene on variable A – in this case, taking the drug. That’s why a real drug trial would be carefully randomized, assigning some people to take the drug and others to take a placebo. Only active intervention on variable A can establish its causal relationship with variable B. But what of quantum variables? This new research shows that certain kinds of quantum correlations do imply causation – even without the kind of active intervention that classical variables require. The new research is both theoretical and experimental. Ried, Spekkens, and Janzing worked from the theoretical end. They considered the situation of an observer who has probed two quantum variables – say, the polarization properties of two photons – and found that they are correlated. The measurement is carried out at two points in time, but the observer doesn’t know if she’s looking at the same photon twice (that is, probing a cause-effect relationship) or looking at a pair of photons in an entangled state (that is, probing a common cause relationship). The theorists’ crucial insight was that the correlations measured between a photon at one time and the same photon at another time had a different pattern than the correlations measured between two entangled photons. In other words, they discovered that under the right circumstances, they could tell cause-effect from common cause. Meanwhile, at the Institute for Quantum Computing, Agnew, Vermeyden, and Resch had the tools to put this remarkable idea to the test. They built an apparatus that could generate two entangled photons, A and B. They measured A, and then sent the pair through a gate that either transmitted photon A, or switched photon A and photon B and transmitted B.
Crucially, this gate could swap between the two scenarios, choosing one or the other based on the output of a random number generator. On the other side of this gate, the researchers conducted another measurement while blind to which photon they measured. Just as the theorists predicted, they saw two distinct patterns of correlation emerge. This means that researchers measuring quantum variables can do something researchers measuring classical variables cannot: tell the difference between cause-effect and common cause in a system with only two variables, without making an active intervention on the first variable. This discovery has significance for both quantum information and quantum foundations. The work establishes a new class of things that quantum systems can do which classical systems cannot. It’s too early to say how that may play out, but such quantum advantages underpin the promise of quantum technologies: quantum entanglement, for instance, underlies quantum cryptography, and quantum superposition underlies quantum computation. The discovery of new quantum advantages has historically led to interesting places, and the researchers are hopeful that this new quantum advantage will follow suit. For those interested in quantum foundations, this work provides a new framework to ask basic questions about quantum mechanics. There is a lively and long-standing debate in the field concerning which quantum concepts are about reality, and which are about our knowledge of reality – for instance, whether the quantum uncertainty about (say) the polarization of a photon means that the photon itself has no defined polarization, or if it means that the observer of such a photon has limited knowledge. Because correlations are about what observers can infer, while causal relations are about the physical relations among systems, this research opens a new window on such questions. The team describes the work as opening the door to many more lines of inquiry, such as: How can these techniques be generalized to scenarios involving more than two systems? Is the menu of possible causal relations between quantum systems larger than between classical systems? And most broadly and excitingly: How should we understand causality in a quantum world? To recreate the birth of the universe, most physicists believe that you would first need a big bang. This would be followed almost instantly by the appearance of an ultra-hot blob of plasma, the primordial soup that formed the basis of everything in existence. It’s not exactly a process that is easily replicated, but in heavy-ion colliders, experimentalists are creating “little bangs” to produce tiny droplets of quark-gluon plasma (QGP). The experiments offer a glimpse of the kind of matter that filled the early universe, but there’s a problem. In its earliest stages – between “bang” and “goop” – the system is in extreme distortion. In fact, it’s not until the system cools down that it reaches equilibrium and can be assessed. 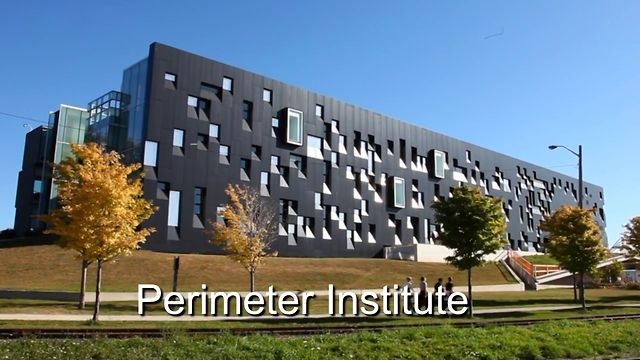 It is this period of ultra-hot chaos that intrigues Perimeter Institute postdoctoral researcher Michal P. Heller. And in a new paper published recently in Physical Review Letters, he has brought together two seemingly different fields of study – hydrodynamics and string theory – to help describe it. In ordinary matter, quarks do not exist in isolation; they are always bound extremely tightly by gluons in atomic nuclei. But in extreme conditions – say, in temperatures a million times hotter than the sun – these bonds can “melt,” forming an ultra-hot, almost-frictionless plasma in which quarks and gluons move freely. QGP has recently been created by smashing atomic nuclei against each other at the Relativistic Heavy-Ion Collider at the Brookhaven National Laboratory in the United States, and at the Large Hadron Collider at CERN in Switzerland. The tiny droplets produced by these “little bangs” exist for brief flashes of time, like super-hot fireballs that quickly expand and cool into ordinary matter. In the moment after the collision, the ultra-hot system is in extreme distortion, existing at the threshold of being called a fluid. Despite the fact that theorists know the microscopic rules that govern such ultra-energetic collisions, questions still abound. It is clear these systems only become plasma once they settle enough to reach equilibrium. Working out what happens in the chaotic interim, before the system equilibrates, requires extremely complex computations. Some researchers, including Heller, have simplified the problem by equating the relaxation of the QGP “fireball” to a black hole reaching equilibrium in a hypothetical five-dimensional space. This approach takes methods derived from string theory, and applies them to the physics of the “little bang” experiments and the droplets of QGP they create. Now, Heller and his co-authors have put forward a computational technique that is something of a further short-cut for theorists: instead of doing the calculations using five-dimensional Einstein equations – which is very complicated – they have developed a way to incorporate part of those calculations into a four-dimensional description that is coupled to conventional hydrodynamics equations. This work is a return of sorts for Heller, a Polish scientist who came to Perimeter in 2014 from the University of Amsterdam. His research career began with a 2007 paper studying theories of second-order relativistic hydrodynamics, which factors causal evolution into standard fluid dynamics. In 2012 and 2013, his work in string theory and strong gravity brought him back to those theories, but with a new perspective. “What’s been fun is coming back to the project I started my research career with, and realizing that the things which I thought several years ago were simple are actually not so trivial and have far-reaching consequences,” he says. QGP is like that, too, he says. While researchers would probably like to create QGP in a simple state of equilibrium (so that they can introduce their own distortions and measure the effects), reality is much more complex. Current experimental and theoretical approaches aren’t sensitive enough to capture and analyze in detail the droplets’ initial, highly distorted state, but Heller’s paper is a step in this direction. “Is that a choice? It’s more of a necessity, at least given what we have available here on Earth,” he says. Three Perimeter Institute researchers have a new idea about what might have come before the big bang. It’s a bit perplexing, but it is grounded in sound mathematics, testable, and enticing enough to earn the cover story in Scientific American, called The Black Hole at the Beginning of Time. 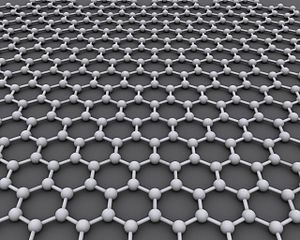 Two experimental groups – one in Geneva, involving Abanin, and one at Columbia, involving both Abanin and Papić – have since put the electric field + magnetic field method to good use. The paper by the Columbia group appears in the July 4 issue of Science. A third group, led by Amir Yacoby of Harvard, is doing closely related work. “Perimeter researchers Itay Yavin and Maxim Pospelov have posited a new force of nature to explain the seeming shrinking of the proton. How big is the proton? For decades, this was a settled question. Then, in 2010, a new and better technique produced a new answer – one that contradicted decades of careful measurements. Two Perimeter researchers have an intriguing new suspect in the case of the shrinking proton: a new force of nature. Before 2010, the size of the proton was so well defined and agreed upon that it joined the speed of light and the charge of the electron on the list of known quantities. But then, an international team of more than 30 researchers, led by Randolf Pohl and working at the Paul Scherrer Institute in Switzerland, announced a new measurement of the proton radius. Whereas the old measurement was 0.8768 femtometres, the new one was 0.841 femtometres. Although the difference was only a quadrillionth of an inch, the relative shift was huge – far larger than can be explained by experimental uncertainty. So what happened? Theorists such as Perimeter Faculty members Itay Yavin and Maxim Pospelov have an intriguing idea – one that posits a new force of nature.